Today is #GivingTuesday, a global day dedicated to giving back to our communities and celebrating generosity during the holiday season. As sustainable food advocates, we know you care about the livelihood of farmers and food producers and that you want to see fresh food available to all. And yet the reality of the industrial food system can be depressing and leave one feeling helpless. One surefire way to feel empowered is to give back to the causes working to create a better world. 1. 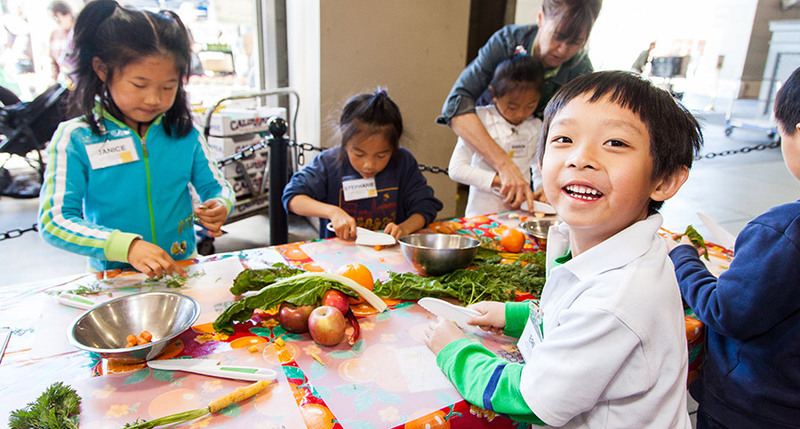 After decades of increases, obesity rates are falling among elementary school-aged kids, due to the work CUESA and others are doing to excite and educate kids about fruits and vegetables. Our Foodwise Kids program inspires kids to select their own produce, cook together in groups, and share a meal of their creations. Through this free field trip and cooking class, children associate fruits and vegetables with pleasure, positivity, and community. Give today so that all schools on our waitlist can attend this program. 2. At a time when the average age of a US farmer is 58 and half of all current farmers in the U.S. are likely to retire in the next decade, CUESA actively seeks young and emerging farmers to join our markets. We have also shown a whole generation of farmers’ kids that staying in the family business can be profitable as well as meaningful. Donate today to keep the next generation committed to sustainably growing our food. 3. Lecturing teenagers to eat healthy, unfamiliar food doesn’t work. Teaching them to care about a “food system” doesn’t resonate if it isn’t relevant to their daily lives. CUESA’s Schoolyard to Market program shows urban youth how to grow produce in their school garden and then sell it at the farmers market. This important work provides much needed job skills and food system education, and reaches over 250 students at four local high schools. 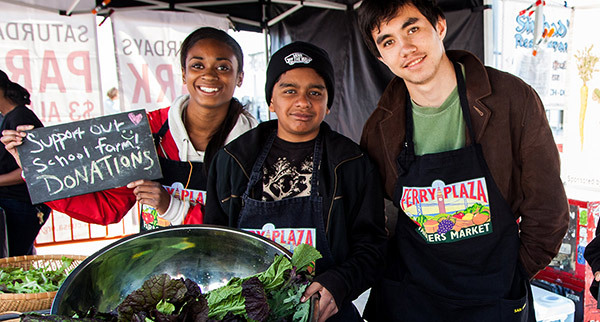 Help urban high school students get a leg up in the world and cultivate a passion for changing the food system. 4. 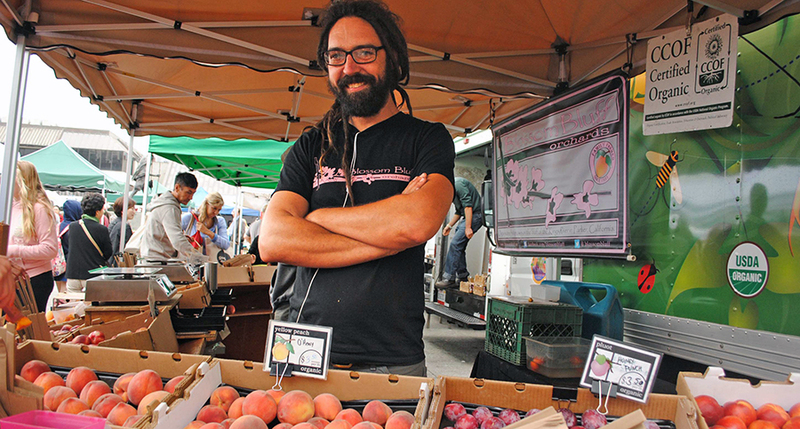 Farmers markets are a critical antidote to isolation and disconnectedness. They build community. Creating and sustaining quality farmers markets that also offer free cooking demos and transparent information on growers takes resources. 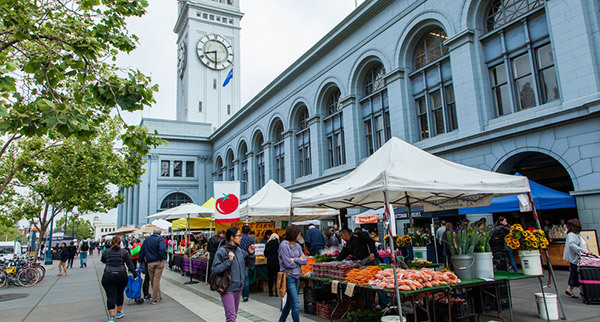 Give to CUESA today to sustain our farmers markets and support a healthy food system that reflects your values. 5. Need more reasons? Watch this video to hear from farmers, students, and educators about what this work means to them. This #GivingTuesday, our goal is to raise $2,500 and to reach $25,000 by the end of the year. Give $5, $25, or $100 today to help make this work possible. We cannot do this work without you: our generous donors, volunteers, and market community. Step up to the plate to contribute to a healthy food system for all! Foodwise Kids, Schoolyard to Market, and Ferry Plaza Farmers Market photos by Amanda Lynn Photography.